A few passes are still available. Catch Bimal Roy's magic with your family and friends. Don't miss this Golden Opportunity. For Bimal Roy Film Festival Online Free Passes Click Here. Bandini, Madhumati, Do Bigha Zameen, Yahudi, Devdas, Parineeta, Sujata and Udayer Pathey. When Roy came from Calcutta to Bombay in 1951 - with a group of talented professionals from Calcutta - script writer, cameraman, set designer and song writer - he found that scripts were unheard of and dialogues being written on the sets. 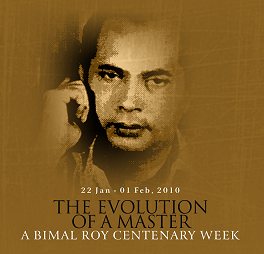 He established his "school" of film making - Bimal Roy Productions - that delivered masterpiece after masterpiece. He was a master craftsman and also an inspiring teacher, training many excellent technicians, who went on to become famous after him.Do Bigha Zamin(1953 ), his first independent production, is a cinematic reference point. It introduced Indian cinema to the west by winning a special mention at Cannes and Karlovy Vary. Another film, the documentary-Gautama the Buddha,-won a Gold Medal at Cannes in 1954. In India, he won a Filmfare award every year that he made a film,eleven in all, a record still unbroken 43 years after his death. His lyrical, sensitively crafted, brilliantly photographed black and white films represent the "golden age" of Indian cinema, along with the work of three other directors of the 50's - Mehboob Khan, Raj Kapoor and Guru Dutt. When he died on January 8, 1966, at the age of 55, he left behind a legacy of seventeen wonderful films (including three in his native Bengali) that Indians still cherish. Watching 3 Idiots at Neelayam in Pune! I was in Pune on vacation with my family during the last week of 2009, winding down after a rather uncertain year. After lot s of shopping at the malls, Laxmi Road, FC Road etc and having soaked up the fine Pune weather which gets better in winter, we looked at entertainment options. Movies came up - 3 Idiots was the first choice, followed by Avatar. The list of theatres was exhaustive and we were not sure if we would get tickets after all the trouble of going there in the Pune traffic. 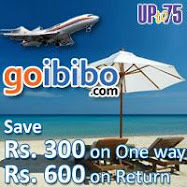 That’s when I decided to check for online booking options and logged on to the internet. 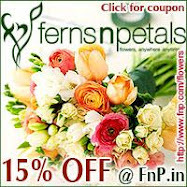 I remembered a couple of sites advertising in the Hyderabad movie pages. I found www.nomorequeue.com, an online movie ticket booking site which offered tickets for 3 Idiots at Neelayam theatre (which is one of the better theatres in Pune and quite central too). I booked the tickets online, got an SMS on my mobile and an email as well, which I needed to show to the ticketing counter to get my tickets. I announced the good news to the family and they were all very pleased with my efficiency! Booking tickets is one thing but the actual experience of watching the movie is quite another and I was a bit apprehensive as we headed off to the theatre. But full marks to nomorequeue.com and the Neelayam guys – the experience was as smooth as it could get. I walked in and presented my mobile with the SMS and he just handed me the tickets in a jiffy. And guess what, since he had a separate counter for internet booking, it was really a case of nomorequeue! To top it all, the movie was brilliant and we all had a blast. Now everyone thinks I am an expert on internet booking and movie ticketing deals etc. 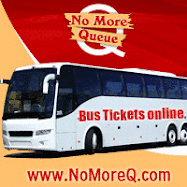 Thank you all you guys at nomorequeue.com, Neelayam and of course the makers of 3 Idiots for making it a wonderful experience for all of us – I think I am hooked on to this online booking now!